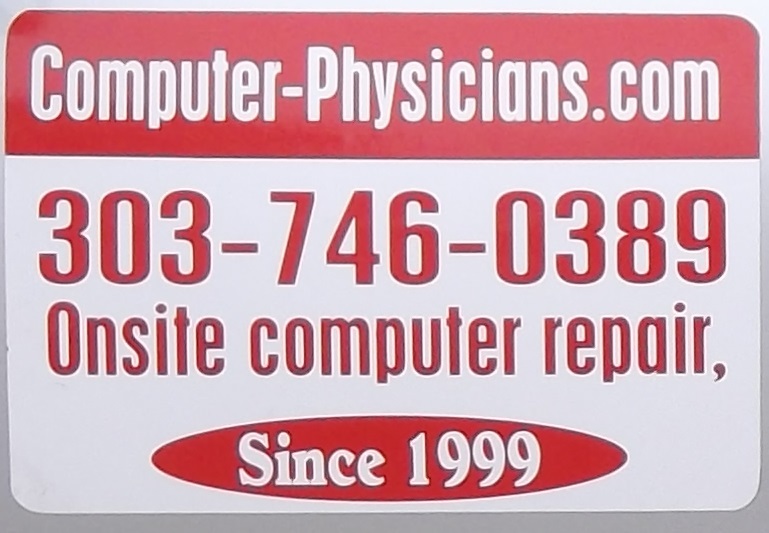 Computer Physicians servicing Erie Colorado provides PC Computer Repair, Data Recovery. Servicing Erie, CO, since 1999. Working with all versions of Microsoft O.S. From DOS to Windows 10, Server 2012. Prompt, quality on-site help, training, service & repair, networking, upgrades, sales, troubleshooting. in Erie, CO. In many cases we can be working on your computer the day you call, either at your location or ours. Since 1999.